The Polarion Helios PH50 light has been replaced by the PH50D light. PH50 lights can still be serviced. PN HH50WHID has been replaced by PH50D. 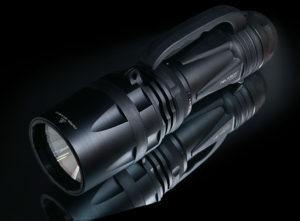 The PH50D is our newest tactical light. It can switch between 30W and 50W with the push of button. It gives out 4500 lumens in the 50W mode and is compatible with all Polarion accessories.